I purchased this to use at a fair over the weekend. It arrived on time and was as described. Unfortunately, the weekend had bad weather (wind, rain, and even a little snow!). The tent held up, but it really took a beating in the wind. In fact, it just about blew away at one point. In the end, we were forced to throw it away. I will say that, for the price, it held up as well as could be expected under the circumstances. It's water-resistant, however, not waterproof. On the other hand, the customer service was fantastic! I contacted the company upon my return and explained what happened - they had another tent in the mail to me within two days free of charge! 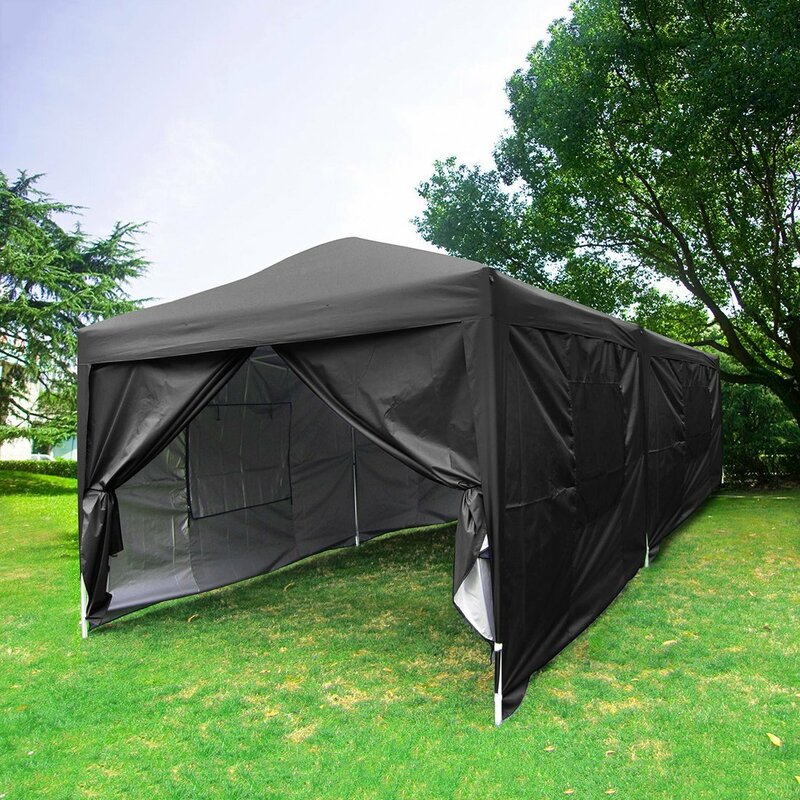 The tent is perfect for a summer gathering and I will be using it frequently, but you will need to watch the weather. Wind and rain are not its friends.